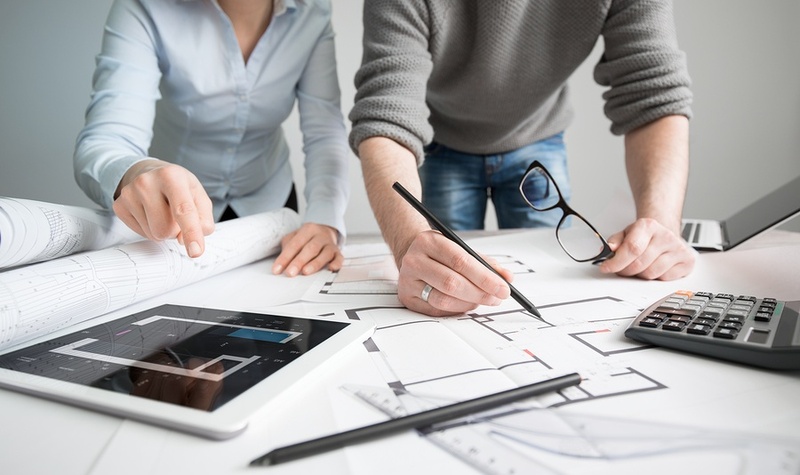 If you are making an addition to your home, transforming a space to better meet your needs or looking at changing the layout, you're probably wondering whether you need an architect. While there are many projects you may be able to handle on your own, there are some factors to consider before beginning a home renovation project yourself. How well do you know your codes? Building codes, ordinances and regulations can be daunting, especially if you have never dealt with them before. Fortunately, residential architects are experts in these areas and will make sure your project is done correctly. An architect can handle all of the paper work, inspections and all other regulatory requirements. On the other hand, if you are well-organized and well-versed with codes and regulations, you might not need an architect. Are you a creative person who can conceptualize? If you are the type of person who can conceptualize how a project should look when it's finished, put it on paper and see it through to fruition, you may be able to complete your project yourself. However, if you don't completely know what you want, you may want to hire an architect. Architects are creative and trained to translate your vision into an aesthetically pleasing reality. Whether you're looking for a full-on addition to your home, an updated outdoor living space or something else entirely, a residential architect will be able to help you get the project started right. Are you a master negotiator? Any remodeling project requires negotiating with a contractor. If you’re able to stand firm and are not afraid to play hard ball, you should be able to navigate those negotiations successfully. However, if you prefer to avoid this conflict, an architect will be able to handle the negotiations for you.